Great news. As of today I've basically completed a part of the blog that I think you all will like. I have created a member driven portion of the blog. In other words, if you get approved, you can create blog posts here on my blog! It's basically a utilization of Blogger's author sign-up function but it should work pretty well. I actually made it a brand new blog but embedded it here in the site. If you got the email with "Member Rules"..sorry that was an accident; was suppose to go to the member blog ^^;; Still working out the kinks. So if any one want to help add more anime posts, it can be done ^_^ Check out the rules and how to get involved below. Please note that once I hit about 100 authors, I'll reach my limit. I'm doubtful the site is THAT popular but..always good to warn evryone. Posts can be short or large but please no posts that are too large. 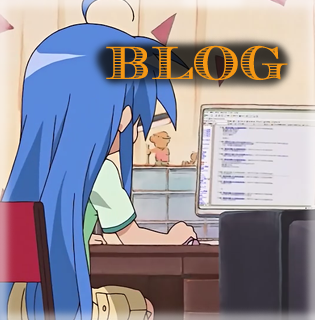 We at Chuck's Anime Shrine have the right at any time to remove a blog post and member, so please follow the rules...a link to report a post will also be up on the blog for extra safety. Join the growing list of members of Chuck's Anime Shrine by clicking the "join this site" button in the Google Friend Connect part of this page. Email me asking to be an author for Chuck's Anime Shrine...only after step one is done. I need to make sure you are a legit member. Be sure to tell me your member name in the Google Friend Connect system and your email must match the given user's email. Again, for the safety of other members and to weed out spammers. If approved, I will invite you to be an author on the site. From your account on blogger.com, you can now begin posting.